In a world of beautiful textiles and patterns I find myself wondering about how these fabrics and unique designs are manufactured. 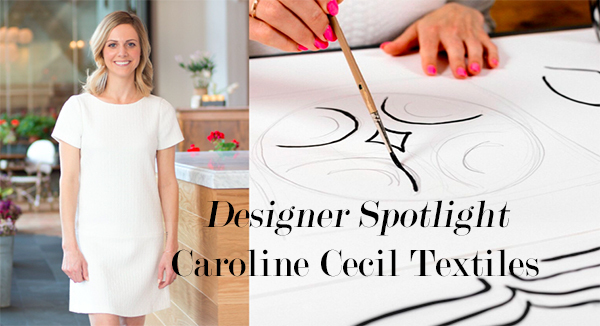 Today our designer spotlight lands on Caroline Cecil of Caroline Cecil Textiles. Caroline shares her creative motivation with us and an inside perspective on more traditional textile production methods. She has also been involved in some exciting community initiatives, which we chat about below. 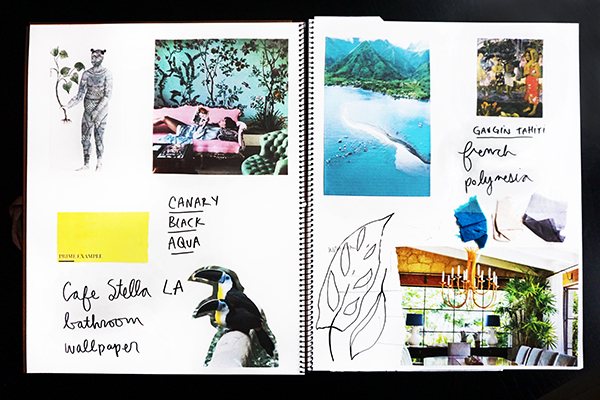 Follow along as Caroline’s gives Interiors by Jacquin readers a peek at her newest collection called ‘Balinesia’. Jacquin: How has working in textile design pushed you creatively? 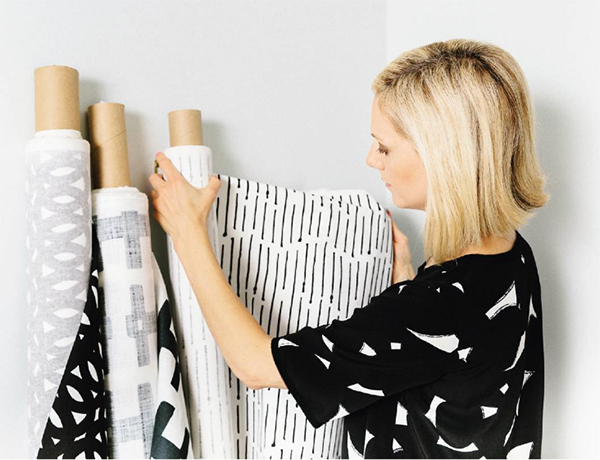 Caroline: I’ve spent the past 11 years of my career learning about all of the different ways you can put patterns onto things–from fabric to towels to rugs to shower curtains to wrapping paper and everything else in between. Throughout the process I’ve learned many different techniques and applications which have pushed me to evolve creatively. The limitations that arrive based on the selected printing method have really pushed me to be more creative in my approach. For example, with screen printing the more color we print, the more expensive it becomes. So within these confines we find ways to create gorgeous single color prints that still provide depth, texture, and narrative. 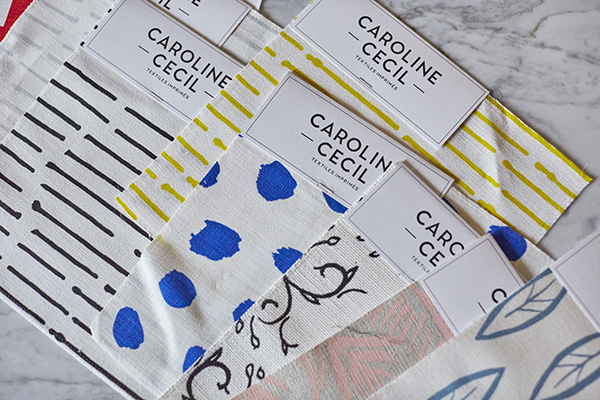 Jacquin: Tell us about your journey launching your brand, Caroline Cecil Textiles. What has been the hardest part? Caroline: I wanted to have my own company ever since I was a little girl. My grandmother was a watercolor artist and made a living selling her paintings at a time when it was very unusual for women to be independent and have their own business. My father was also an entrepreneur who started many businesses throughout his life, those experiences are at the foundation of why I always wanted to launch a brand. 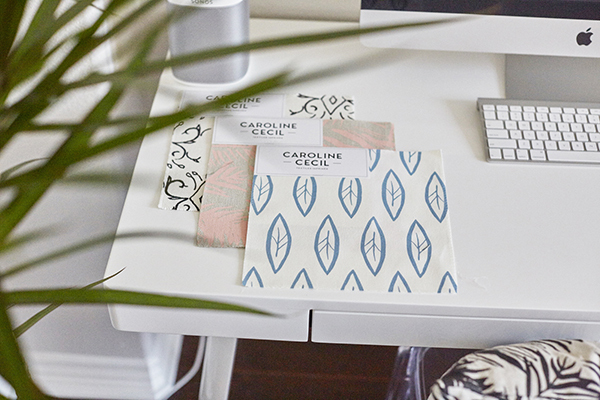 I’d say the hardest part of launching Caroline Cecil Textiles was the process of building something from scratch. The journey of bringing something to life that starts in your head and turn it into a full fledged business that includes a sales team, products, sampling, an online presence and operations has been overwhelming at times. The hardest part is the balancing act that’s required once the company starts coming to life. Managing competing priorities like product development and branding while always keeping long-term goals that support growth in mind requires constant learning and strategizing. Caroline Cecil’s sketches for textile designs. Jacquin: What’s an average day like for you, Caroline? Caroline: In the morning I always try to take time to make breakfast for my husband as well as play with our little Pomeranian and Chihuahua. 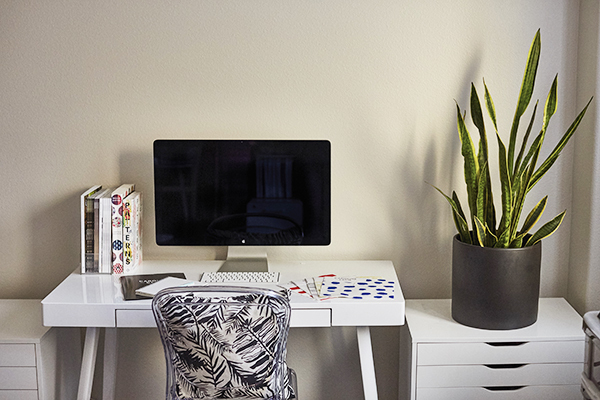 After that it’s off to the races – answering emails, reading industry news and outlining the focus for the day ahead. Lately the team and I have been expanding our showroom presence, so a lot of my days have been spent outlining which designs are going into what showrooms, overseeing production, coordinating shipping with our Operations Lead, and talking with our PR team at REVELE. I also spend a great deal of time looking at the travel calendar and supporting brand growth through online marketing. My days are predominantly left brained, so I always carve out time to paint or cook or do something creative to balance things out. I find that time to be SO important. Caroline’s fluffy dog in front of her vibrant textile design. 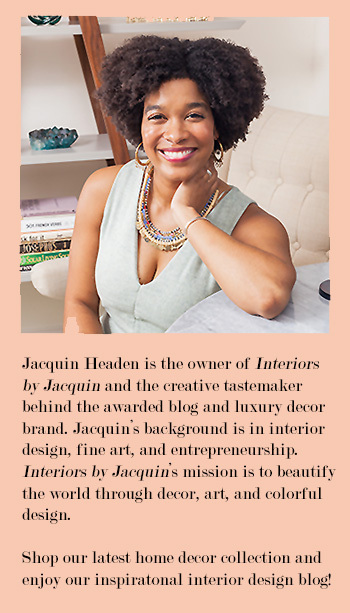 Jacquin: I love that you worked helping budding young creatives through Designer Camp. It really sounds like a fantastic program for the youth. How was your experience? What do you think the kids who participated got out of it? Caroline: I absolutely loved collaborating with Designer Camp and look forward to doing it again next year! The founders of Designer Camp are very hands-on and they were so supportive of my ideas for the textile workshop. It was the first time they ever had a textile designer participate in the program and it was exciting to see how interested students were in the new category. Textile design is something most people don’t think of when you’re asked what you want to be when you grow-up. Considering how did that pattern get on that shirt is not something young artists usually think about. This is one of the reasons I love mentoring young people who are discovering it for the first time. I am so happy to have the chance to give back to the creative community as I remember how important it was for me when I was growing up. I still remember the influential people and artists who really inspired me to explore my creative voice. It’s great tohave a chance to do that for today’s youth. Jacquin: How have you utilized your local creative community as you’ve grown your business? Caroline: Los Angeles is an incredible place to own a company and design a product because it offers many different kinds of resources. Being around so many creative people every day has offered a lot of inspiration. Los Angeles has a very expressive and visual community. People put a great deal of thought into how they present themselves and I find that to be very inspiring. In addition, I have the pleasuring of knowing a vast network of manufacturers who constantly inspire me. Being in Los Angeles has given me the opportunity to see the manufacturing process across many different industries which i find completely fascinating. My line of fabrics simply wouldn’t exist without the people who print our fabrics and sew our samples and I truly value those partnerships. Caroline Cecil painting an original textile design. Jacquin: What is one thing about about the textile design process from production to marketing that many people may not know about, or may be surprised by? Caroline: I think people would be surprised by the amount of labor involved in producing a line of textiles. Fabric doesn’t weave or knit itself! While machines have industrialized the process, it’s still a very tactile manufacturing process. At Caroline Cecil Textiles, we work with artisans to produce our line. Most of our ground cloths are imported from Belgium and come from a mill that has been weaving linen for centuries. 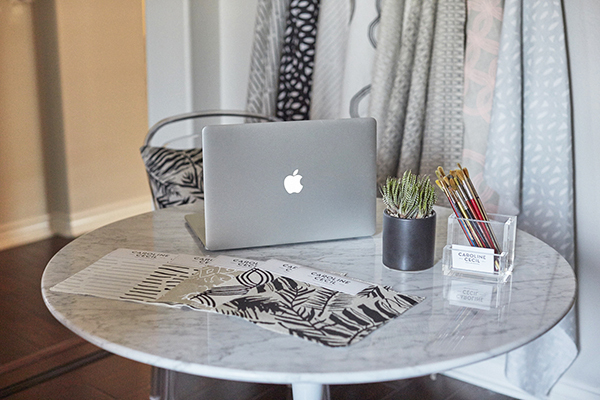 Our designs are then hand printed onto the linen at our printing facility in San Francisco. The process takes a very long time and it’s a very old fashioned way to print fabric, but I believe it yields the most beautiful quality, one that mass manufacturing simply cannot match. In general, most people probably don’t think about fiber content or weave structure or whether or not something was yarn-dyed. I think most of the world of textiles would be surprising to people! Caroline Cecil textile swatches from her ‘Balinesia’ collection. Jacquin: What’s on your life bucket list? Caroline: I’ve always dreamt of traveling the world and documenting the different textile process from different cultures. For a few years now I’ve wanted to tour different mills across the world– lace making and the Chanel textile factory in France, linen production in Belgium, block printing in India, indigo dyeing in Japan, back-strap weaving in Guatemala. I’d love to document the process and make it into a video series and coffee table book! 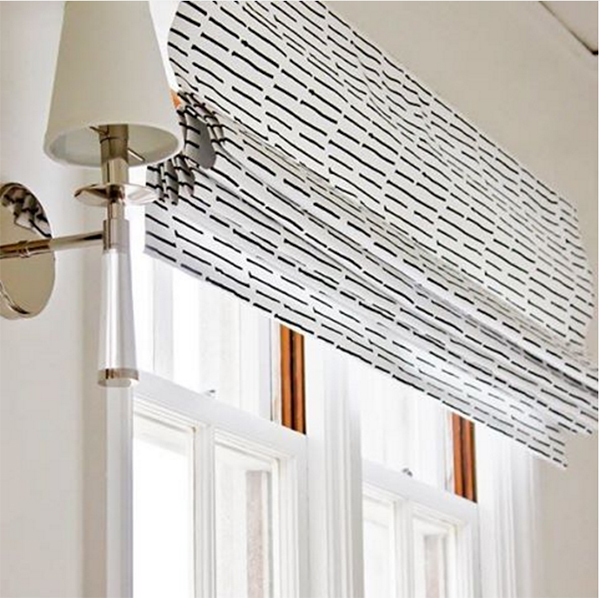 Shop Caroline’s ‘Balinesia’ textile collection and more on her website Caroline Cecil Textiles.